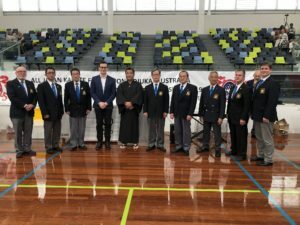 I was invited as a represent of the Queensland Japanese community to the “All Australia Gojyuryu Karate Championship 2019” official opening with our supporter Mr. Sam O’Conner MP member for Bonny and Co-Chairman of the Parliamentary friends of Japan. 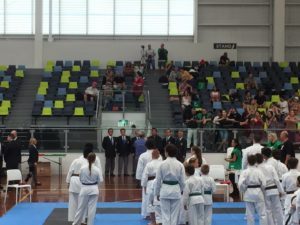 We welcome to the 5 Japanese Karate federation masters from Japan. Garden City Shipping centre, Westfield Garden City Library meeting room. Japan announced new Imperial Era which will start 1st May 2019. It contains the desire to be in Japan where flowers bloom like plum trees. Japan Community of Queensland Inc.
2019 jcq.org.au. All Rights Reserved.